star trek – Rants! And babblings! Star Trek related. You know you’re a geek when you create this category. The Ferengi are an alien species in Star Trekâ€”orbiting around all things pecuniary. They are easily identified by their enormous ears and low brows, and of course with their unmistakable personalities which are motivated only by one thing, profit. In the era that Star Trek takes place, our race, the human race, is no longer driven by wealth, money, and a healthy economy. These things no longer exist in Earth, and are unneeded–and as a direct consequence so are, crime, poverty, and war. In fact, Earth is considered to be a paradise. The human species evolves into a race that is committed to exploration, knowledge and the sole pursuit of â€œbettering themselvesâ€, fully embracing the ancient quip that money is the root of all evil. Which brings me again to the Ferengi, the big-eared and tan, 4 foot 9 race, made purposely to look uglier then most other species. They still live a lifestyle revolving around wealth, business and acquiring more, and for the sake of Star Trek, represent astounding similarities to the way we, in this age, currently live our lives. 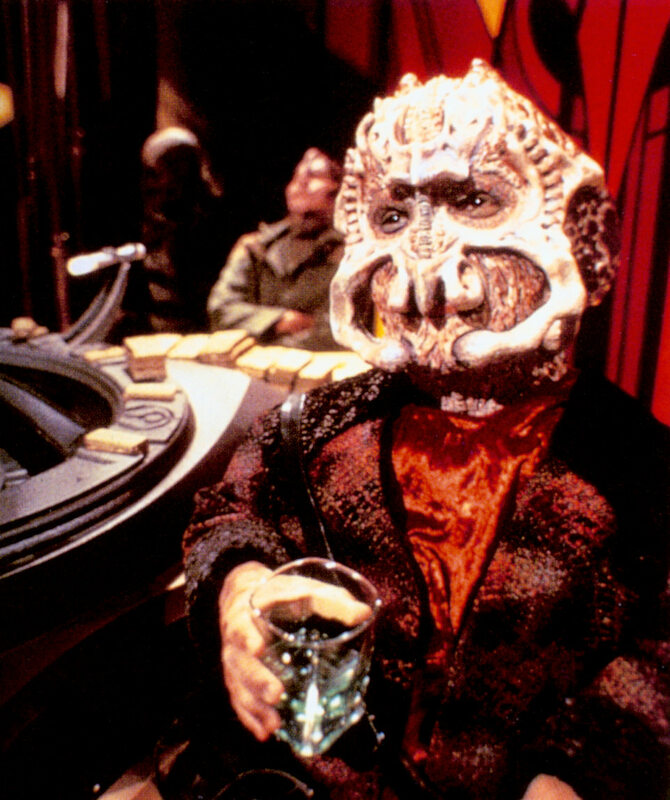 Every time we watch the Ferengi and snicker at their loathsome ethical values, every time we shiver in disgust at their inexorable avarice, we are showing deprecation not at the Ferengi, but at a mirror, one reflecting the current state of our raceâ€”itâ€™s a sobering perspective. But the Ferengi, are an extreme. An extreme that, again, may be intentional to play the duel role as comic relief in Star Trek. What is particular amusing with the Ferengi is something they are continually quoting from in order to justify their sometimes dubious actions. It is called the â€œRules of Acquisitionâ€, the Ferengi ancient text that is simply a serious of aphorisms that the Ferengi model their lives around. Some of these â€œrulesâ€ are very funny in their complete disregard to what we would consider to be sound business ethics, and then again, some of them are surprisingly wise in their veracity. 6 Never allow family to stand in the way of opportunity. 15 Acting stupid is often smart. 29 When someone says “It’s not the money,” they’re lying. 31 Never make fun of a Ferengi’s mother … insult something he cares about instead. 37 You can always buy back a lost reputation. 44 Never confuse wisdom with luck. 47 Don’t trust a man wearing a suit better than your own. 60 Keep your lies consistent. 100 Give someone a fish, you feed him for one day. Teach him how to fish, and you lose a steady customer. 111 Treat people in your debt like family … exploit them. 180 Never offer a confession when a bribe will do. 284 Deep down everyone’s a Ferengi. 285 No good deed ever goes unpunished. I have a complete list here. Quark: That’s the 35th Rule. Dax: Oh, that’s right. What’s the 34th? Quark: “War is good for business.” It’s easy to get them confused.